No space for the hook above the door? Are standard spring forces either too weak or too strong, because due to improved sealings more strength is required to close doors? The DICTATOR door dampers are THE problem solvers when doors bang or don’t close completely. But what to do when there is no space above the door for fixing the hook? 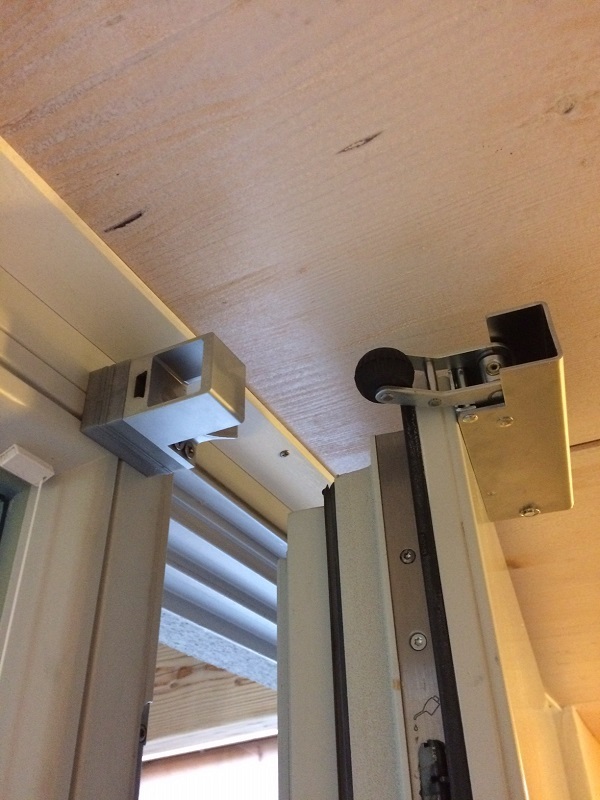 Or when it is impossible to mount the door damper vertically because the door features a large glass panel on which the door damper cannot be fixed properly? Even in such cases we offer a solution. 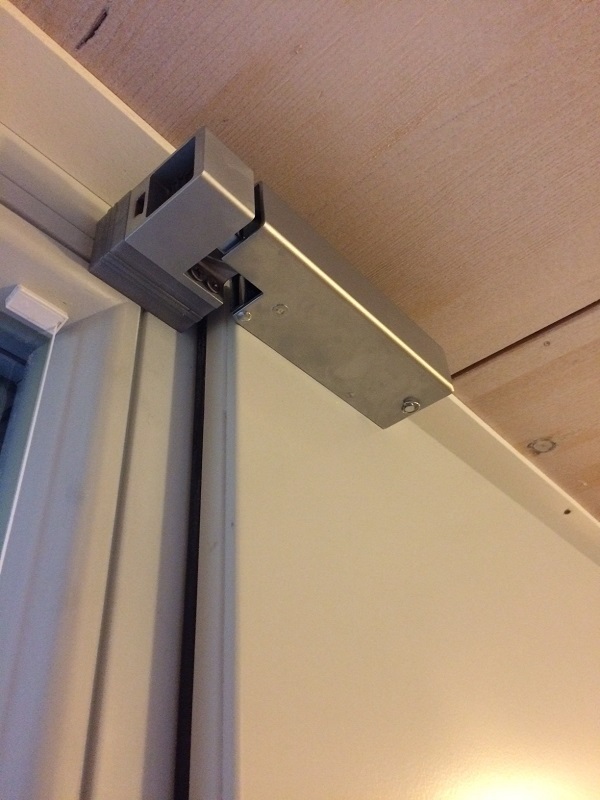 By default, the door damper VS 2000 can also be mounted in a horizontal position. The simplest possibility is to mount it directly at the closing edge. However, in this position, the same VS 2000 requires more strength to open the door. Therefore, a model with a 20 N spring is normally used in such a case. But in the last years the construction of front doors has changed, mostly due to a new Heat Insulation Ordinance. 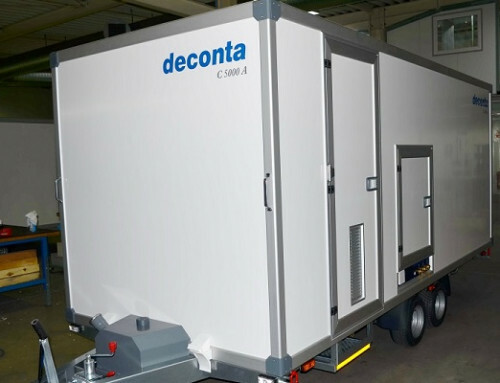 They are better insulated and therefore heavier and often also equipped with triple sealings. So the 20 N spring is often too weak. The next standard spring force is 50 N, which often makes it much more difficult to open the door, especially for children. That is why DICTATOR provides the VS 2000 door check with a 35 N spring, especially for such cases. This closes the door correctly, prevents it from banging and opening it is also no problem. 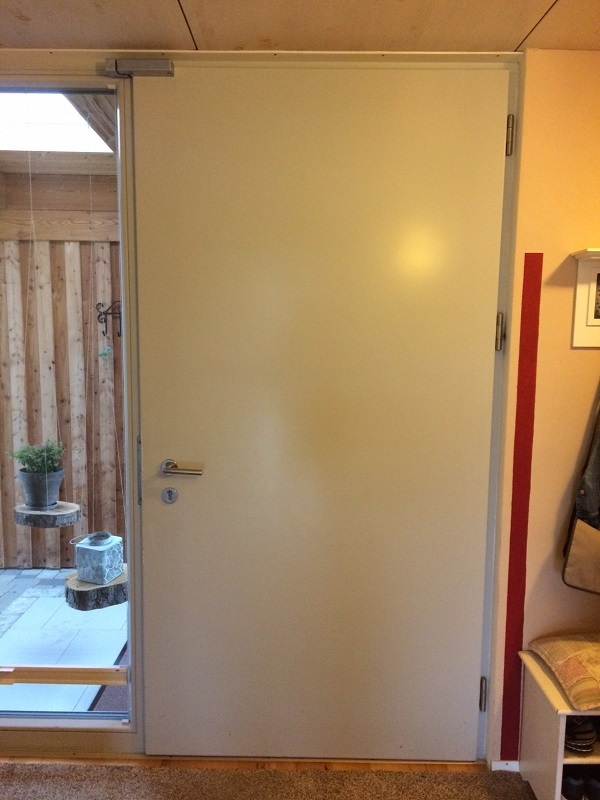 There is no space above the door for the hook, so the door damper could not be mounted vertically in the middle of the door. A model with a 20 N spring was too weak for the position at the closing edge. Only the special model with a closing force of 35 N could solve this problem. 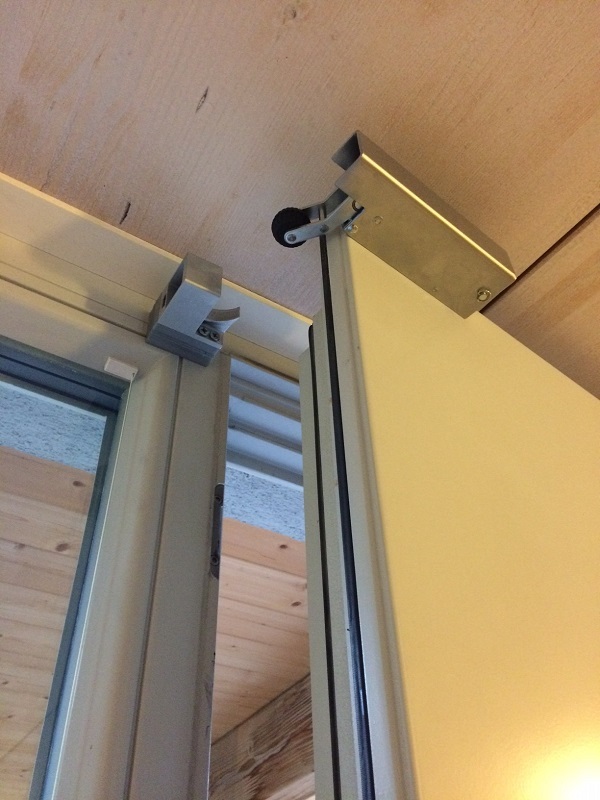 The door damper is fixed directly at the closing edge, the hook is mounted on the frame. By means of the included plastic spacers the hook is positioned at the required height so that the operating arm of the door check can properly enter the hook – an indispensable requirement for the correct functioning of the door damper. Modern doors are thicker, heavier and better insulated. This changes the demands for door damper. The door damper completely closed the door, in spite of the sealings. Due to the 35 N closing spring all inhabitants of the house can open the front door easily.